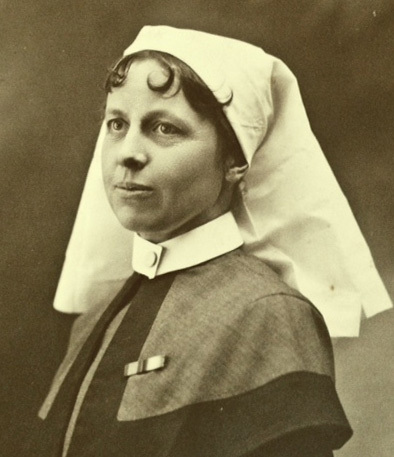 She trained as a nurse at Victoria Hospital, Burnley, between March 1913 and April 1916, and joined Queen Alexandra’s Imperial Military Nursing Service Reserve a year later. At the time of joining, her parents were still alive and living at 35 Westbourne Road, Lancaster. 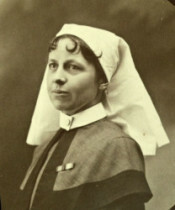 She initially worked at Connaught Hospital, Aldershot, before going to France in the spring of 1918. She was working on No.42 Ambulance Train for nearly a year, and was finally demobilised in July 1919.